Cerberus’ current portfolio of companies employ nearly 400,000 employees around the world and generate aggregate revenues in excess of $70 billion per year. Our global team has a patient, long-term philosophy focused on partnering with each portfolio company to provide the right financial resources and operational expertise to help it succeed. Founded in 1974, ABC Technologies, a world leader in vertically integrated automotive plastics supported by a global organization of more than 7,500 employees with 30 locations in North America, South America, Europe and Asia, is a privately held leading global automotive tier 1 systems and components manufacturer supplying the world’s largest automotive OEMs with highly engineered interior, exterior and under-hood systems and components. Albertsons Companies is one of the largest food and drug retailers in the United States. In 2014, Albertsons and Safeway, Inc. merged. Today, the combined company operates more than 2,300 stores across 35 states and the District of Columbia under 20 well-known banners including Albertsons, Safeway, Vons, Jewel-Osco, Shaw’s, ACME Markets, Tom Thumb, Randalls, United Supermarkets, Pavilions and Star Market and Carrs. 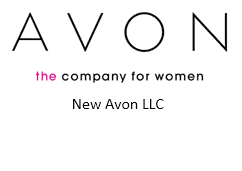 Avon Products, Inc. is a publicly traded company that operates the Avon business in approximately 70 countries outside of North America. Avon is the company that for 130 years has proudly stood for beauty, innovation, optimism and, above all, women. Avon products include well-recognized and beloved brands such as ANEW, Avon Color, Avon Care, Skin-So-Soft, and Advance Techniques. Avon employs approximately 25,000 employees and its products are sold through nearly six million active independent Avon Sales Representatives worldwide. New Avon is the leading social selling beauty company in North America. The company has more than 2,500 dedicated employees that serve its base of nearly 400,000 independent Sales Representatives in the United States, Puerto Rico, and Canada. 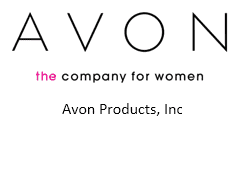 New Avon’s product portfolio includes award-winning skincare, color cosmetics, fragrance, and personal care products, featuring iconic brands such as Anew, Avon Color, Mark, and Skin So Soft, as well as fashion and accessories. Avon has a 130 year history of empowering women through economic opportunity. Headquartered in Zug, Switzerland, Covis Pharma is a global specialty pharmaceutical company providing therapeutic solutions to patients. Covis markets a portfolio of U.S. prescription products through its U.S. sales and distribution affiliate, Covis Pharmaceuticals, Inc. which is headquartered in Cary, North Carolina. Cyanco is the largest global producer of sodium cyanide with manufacturing facilities in Nevada and Texas serving customers in North America, Latin America, and Africa. Cyanco’s Applied Technology provides consulting services, laboratory support, and cyanide processing technologies to assist customers in optimizing their metal recoveries and sodium cyanide usage throughout the mine lifecycle. DynCorp International is a global government services provider in support of U.S. national security and foreign policy objectives. Its industry-leading teams have the capability and proven performance to rapidly deliver complete lifecycle solutions in support of defense, diplomacy, and international development anywhere in the world. Headquartered in St. Louis, Missouri with 35 manufacturing facilities around the world, Electrical Components International, Inc. (ECI) is a trusted supplier to the world's leading home appliance and specialty-industrial equipment manufacturers. ECI's products can be found in a wide variety of electronic and electro-mechanical applications, including home appliances, agriculture and construction, heating, ventilation, and air conditioning (HVAC), specialty transportation, automotive, commercial appliance, and commercial electronics. ECI has approximately 20,000 employees worldwide. Headquartered in Houston, Texas, Keane is one of the largest pure-play providers of integrated well completion services in the United States, with a focus on complex, technically demanding completion solutions. Keane's primary service offerings include horizontal and vertical fracturing, wireline perforation and logging, engineered solutions, and cementing, as well as other value-added service offerings. Headquartered in Lisle, Illinois, Navistar Defense is a leading tactical wheeled vehicle original equipment manufacturer serving military, law enforcement, and government agencies worldwide. Navistar Defense provides a complete portfolio of both tactical and commercial off-the-shelf military vehicles, as well as custom-tailored lifecycle support solutions to a global customer base. Since 2004, Navistar Defense has delivered approximately 37,000 vehicles across 28 countries and has access to Navistar's global dealer network across 90 countries. 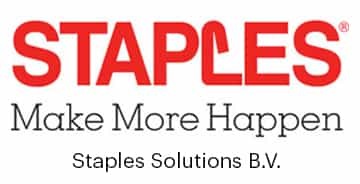 Staples Solutions B.V. is the leading provider of workplace products, services and solutions to small, mid-sized, and large businesses in Europe. Through its integrated offering, Staples Solutions is the partner of choice to meet the diverse needs of the workplace of today and tomorrow. The company, which was formerly the European operations of Staples, Inc., generates aggregate annual sales of approximately €1.7 billion. Headquartered in Amsterdam, Staples Solutions operates in 17 countries in Europe. Sparton Corporation, headquartered in Schaumburg, Illinois, is a provider of complex and sophisticated electromechanical devices with capabilities that include concept development, industrial design, design and manufacturing engineering, production, distribution, field service, and refurbishment. Sparton provides leading solutions and services to customers in the medical and biotechnology, military and aerospace, and industrial and commercial industries. Headquartered in Dallas, Texas, Steward Health Care is the largest private, for-profit hospital operator in the United States. It is a physician-led health care services organization committed to providing the highest quality of care in the communities where its patients live. Steward operates 38 community hospitals in the United States and the country of Malta that regularly receive top awards for quality and safety. The company employs approximately 40,000 health care professionals. The Steward network includes more than 25 urgent care centers, 42 preferred skilled nursing facilities, substantial behavioral health services, over 7,300 beds under management, and approximately 1.5 million full risk covered lives through the company's managed care and health insurance services. The total number of paneled lives in Steward's integrated care network is projected to reach three million in 2018. Headquartered in Eatontown, New Jersey with more than 1,400 professionals on four continents, SubCom is a global leader in delivering and maintaining the fiber optic cable systems that transmit nearly all of the world’s data and communications. SubCom designs, manufactures, deploys, maintains, and operates modern networks with an industry-leading track record for delivery and performance, providing the most comprehensive technical and marine expertise, with the highest quality, and most reliable solutions. World Flight Services (WFS) is the world's largest air cargo handler and one of the leading providers of ground handling and technical services with annual revenues of over €1.2 billion. Its 22,800 employees serve over 300 customers at 198 major airports in 22 countries on five continents.